Fox is kicking off the new year with scenes from X-Men: Days of Future Past. The studio’s teasing a major announcement for the coming week. Director Bryan Singer is the best hype-man a movie can have. Thursday, he took some time to promote X-Men: Days of Future Past on Twitter. He’s no stranger to social media, as he’s been the one-stop shop for most X-Men news. He recently teased his followers with a major announcement before linking to a new Days of Future Past promo. The video is posted on Instagram and features plenty of new faces. It actually has more tension and build up than the first full-length trailer. The teaser accomplishes a lot in a short amount of time. 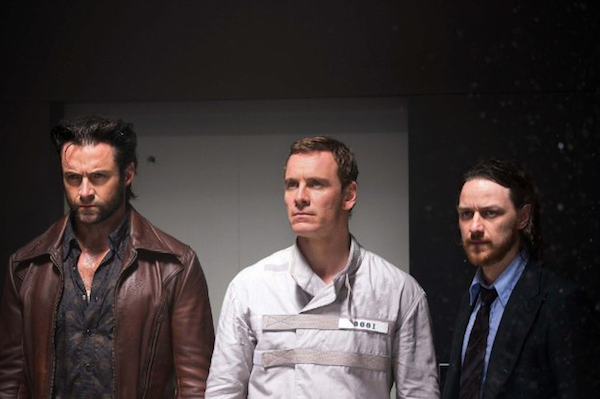 X-Men: Days of Future Past unites characters from the original trilogy as well as the 2011 reboot First Class. That means two versions of Professor Xavier (Patrick Stewart and James McAvoy) and two Magnetos (Ian McKellen and Michael Fassbender). There’s also Hugh Jackman returning as Wolverine and Jennifer Lawrence as Mystique. Some of the newer characters shown in the promo include Blink (played by Bingbing Fan) and Warpath (played by Booboo Stewart). The mutant population is fighting its biggest threat and they’ll have to join forces if they’re going to survive. Game of Thrones star Peter Dinklage plays Bolivar Trask, a military scientist who creates mutant-killing machines called Sentinels. They’re huge robots that are as tall as buildings. Trask truly believes that all mutants are a threat to humanity. Therefore, his army of Sentinels have become his greatest line of defense. X-Men: Days of Future Past opens in theaters May 23.